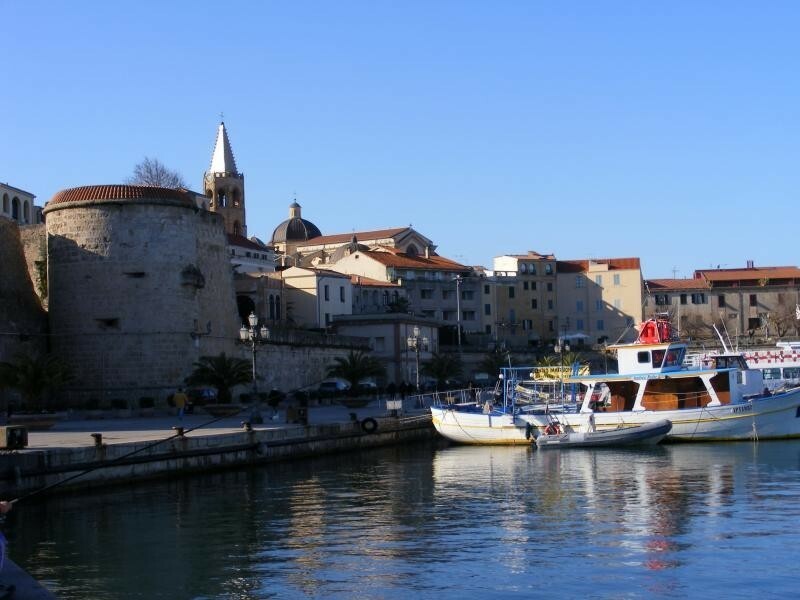 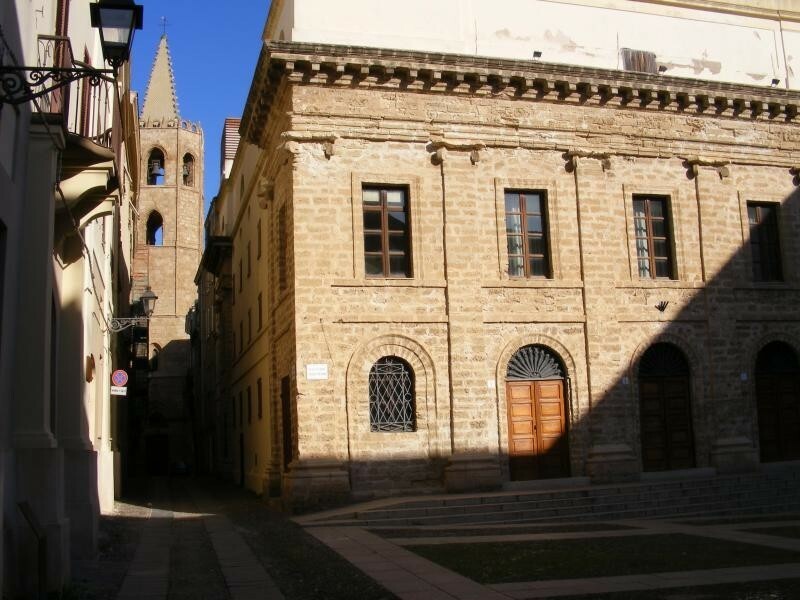 is located in the beautiful city of Alghero, the tourist capital of the Coast of the Coral, situated in a large wonderful bay of the north-west coast of Sardinia. 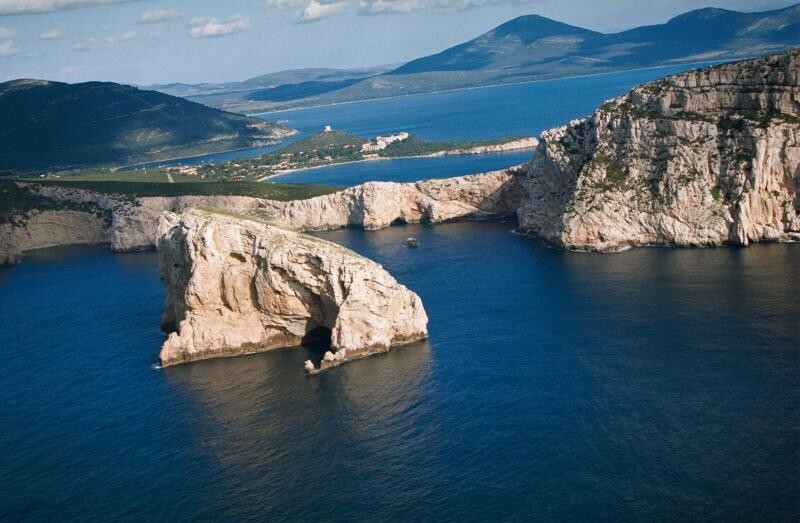 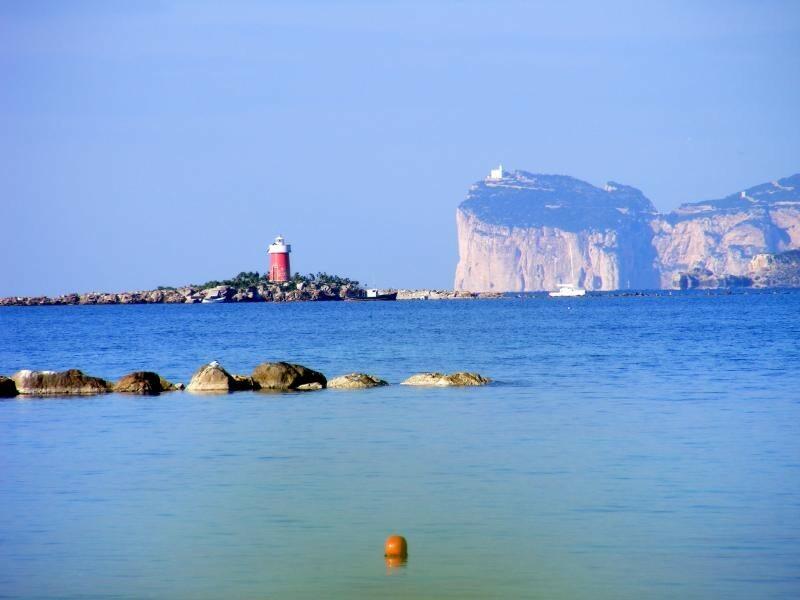 Here sea and earth allow an exciting game of landscape discoveries along the 75 kilometers of coast that goes north, from the chalky massive of Capo Caccia, up to south, to the beach of Poglina: soft beaches, jagged cliffs rising sheer from the sea, solitary creeks, fabulous sea caves. 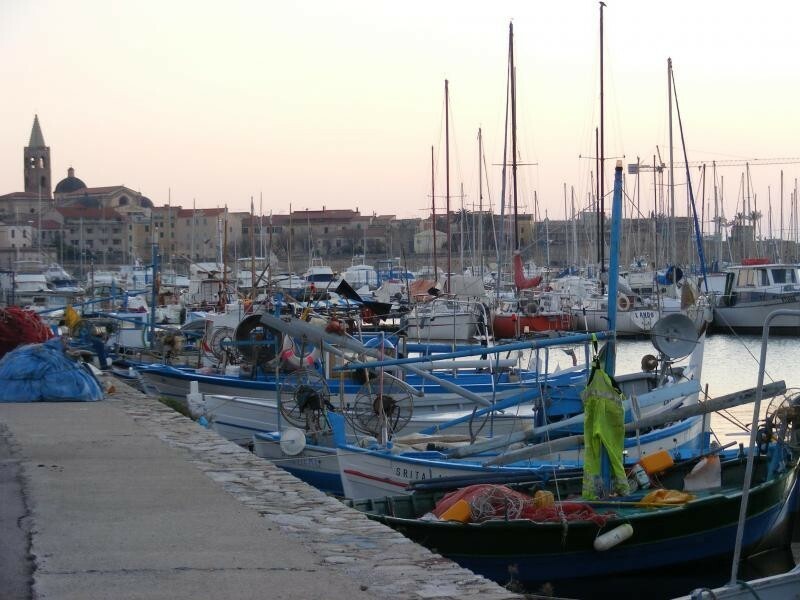 The local people is closely bound to the sea, the port is always crowded of fishing-boats and pleasure crafts, the sea is clear, ideal for fishing lobsters and coral. 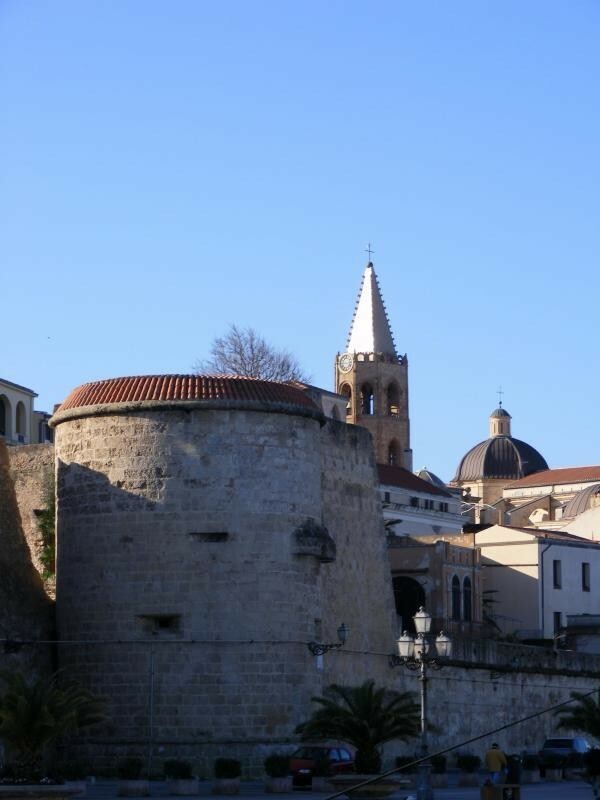 Overlooking the sea for good part of its perimeter, the historical centre of Alghero is a unique gem in Sardinia. 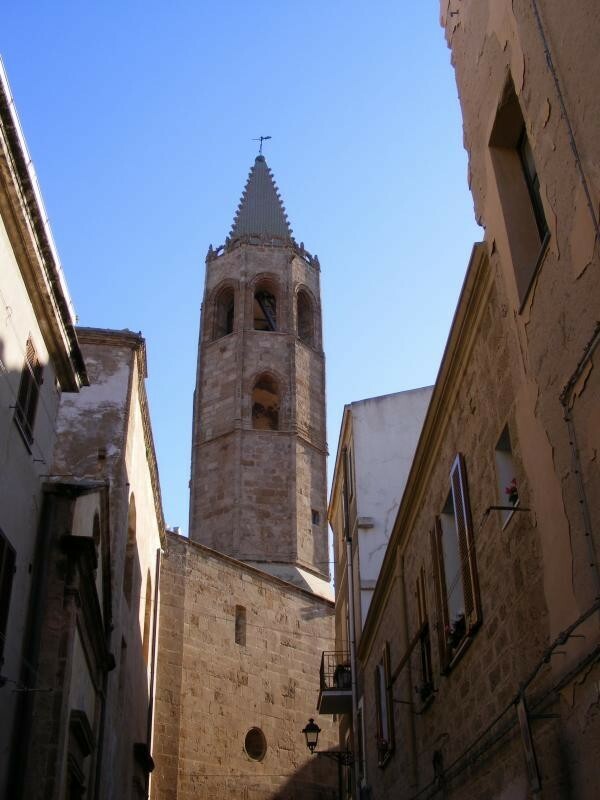 There is no doubt about the date of the catalan birthing of Alghero, in 1354, as well as the fact that Alghero still keeps is catalan identity, not just for the language (Catalan) and the traditions, but also for the monuments that, in the historical centre, often "speak Catalan": the two bell towers, the more meaningful architectural parts of the Cathedral and S. Francesco and the many buildings in Gothic-Catalan style.